“Mommy, come quick…you’re never going to believe this!” I rushed up the stairs to see what my four-year old son was so excited about. “My poop looks like a giant octopus!” Yep, in our house poop often gets compared to animals and pooping is something we definitely get excited about. 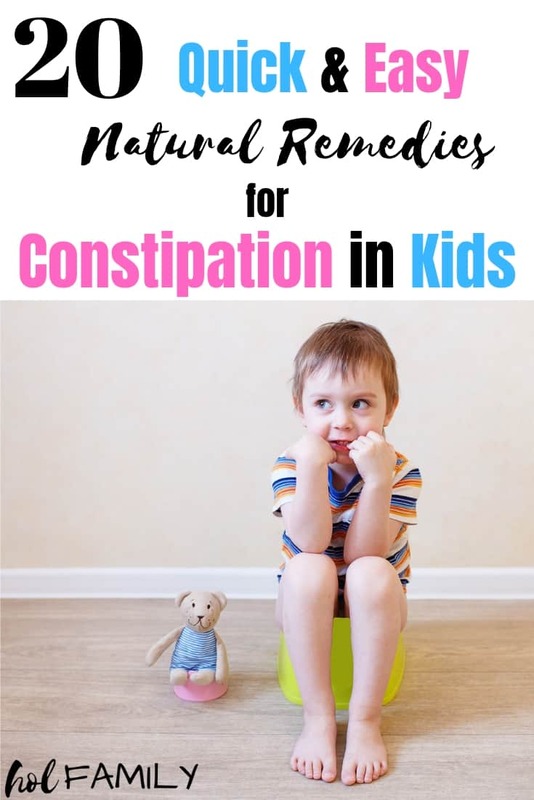 As a parent of not one, but TWO children who struggle with constipation, finding quick and easy natural solutions for constipation in children is high on my priority list. We’ve had nearly seven years of experience with managing constipation in our oldest son, and we have learned the ins and outs of what does and what doesn’t work (both with conventional treatments and with natural remedies). Whether your child is dealing with just a bout of constipation or has chronic constipation, there are lots of natural solutions to relieve constipation and keep things moving regularly. Children with constipation may have stools that are hard, dry, and difficult or painful to pass. These stools may occur daily or be less frequent. The Bristol stool chart for kids classifies poop into one of 7 categories ranging from hard stools (types 1 and 2) to loose stools (types 6 and 7) with normal stools in the middle (types 3, 4, and 5). 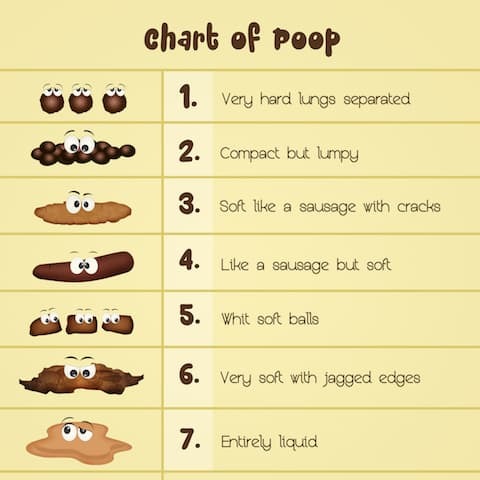 This chart can be handy for helping your child to recognize what normal poop should look like. Constipation can happen for lots of reasons. Some kids become constipated after a bout of illness and return to their normal bowel patterns once their constipation is resolved. Other children (like mine) struggle with long-term or chronic constipation. Constipation that resolves quickly and easily with the help of some of the natural solutions listed below is nothing to worry about and can happen from time to time. Constipation that is chronic or ongoing should be brought to the attention of a trusted medical professional such as a pediatrician, family doctor, or naturopathic doctor. Medications or natural solutions for constipation are like a Band-Aid. While they may help to provide temporary relief for chronic constipation, it is important to address the underlying reasons why your child is constipated in the first place. Low muscle tone (or hypotonia) can lead to constipation in children because the muscles required to push out stool are too weak. In this case, exercises and activities that strengthen the core can be extremely helpful. Signs that your child may be struggling with low muscle tone include delayed milestones in a baby (rolling over, crawling, walking), difficulty riding a bike, tiring easily, poor overall strength, poor posture, trouble crossing the midline, and increased flexibility. If you suspect that low muscle tone may be contributing to your child’s constipation, speak to your doctor or seek the advice of a pediatric physiotherapist or occupational therapist for recommended activities to build core strength. A diet that is high in processed foods, “white foods” (white rice, white bread, white pasta), dairy (especially milk and cheese) and low in fiber, fruits and vegetables is the perfect recipe for constipation. Unfortunately, this is the staple diet for many children, especially children who are picky eaters. While doctors can perform a simple prick test to determine if your child has an IgE allergic response to a food, intolerances are harder to test for. Your best bet for determining if a certain food is contributing to your child’s constipation is to do an elimination diet. There are many over-the-counter and prescription drugs available to treat constipation in children. Some of the most popular choices are stool softeners, suppositories, enemas, fiber powders, bulking agents, lactulose (a synthetic, nondigestible sugar), milk of magnesia/magnesium hydroxide, mineral oil, or stimulant laxatives (senna, bisacodyl). Always consult with your doctor before using any of these medications to manage constipation in children. One of the most commonly recommended over-the-counter medications for constipation in children is Miralax (PEG 3350). Miralax is also one of the most highly debated medications for constipation in kids and received a lot of scrutiny over the last several years. The FDA is also investigating the safety of Miralax (PEG 3350) for use in children for long-term periods after batches of Miralax tested positive for ethylene glycol and diethylene glycol (antifreeze). Diet is probably one of the easiest and safest ways to manage constipation, especially in young children. For bowels to function properly, it is important to have a combination of soluble and insoluble fiber. Soluble fiber absorbs water and forms a gel-like substance that helps to soften stools. Insoluble fiber does not dissolve in water and provides both bulk and hydration to stools. 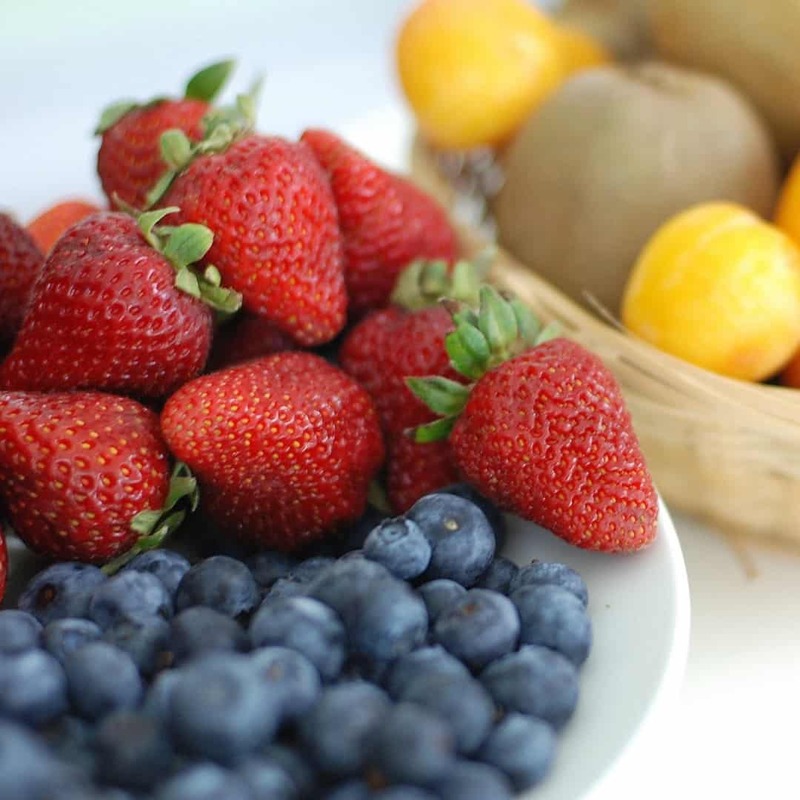 A diet rich in fruits and vegetables will provide a good mix of soluble and insoluble fiber. Healthy fats are also important for young children for brain health and development, plus they help to soften and lubricate stools for easy passage. Some of the best known foods for constipation include oatmeal, beans, lentils, veggies, prune juice and prunes, dried fruit, avocados, pears, apples, berries, whole grains (quinoa, amaranth, wild rice), pumpkin, sweet potato, chia, flax, fish oil, coconut oil, and fermented foods. If you are looking for some ways to incorporate these foods into your child’s diet, try making a smoothie using frozen pears, blueberries, kale, avocado, chia seeds, and fish oil. Freeze any leftover smoothie into homemade popsicles! Many of the foods above can also be used in healthy baking. Children typically don’t like to drink a lot of water, and dehydration can lead to hard stools that are painful and difficult to pass. Children need to drink a good amount of quality, filtered water so that the intestines can absorb fluid and soften stools. If you are struggling to get your little one to drink enough water, get creative with a new water bottle, add slices of lemon or lime to their water, or cool batches of herbal fruit tea for a sugar-free alternative to juice. Being properly hydrated becomes addicting for the body, so once your child starts to experience proper hydration…the body actually starts to crave more water! Thirst can also mimic hunger so we have a rule in our house that before we give out snacks to “hungry” bellies, our little people have to try drinking some water. Sometimes this curbs their hunger and sometimes it doesn’t, but either way they end up drinking more fluid and this is a win-win in my mind! Two of the most common times for a temporary bout of constipation in kids are right after potty training and when starting school. While there are probably multiple factors at play, one of them is certainly related to the inconvenience of stopping play to poop! 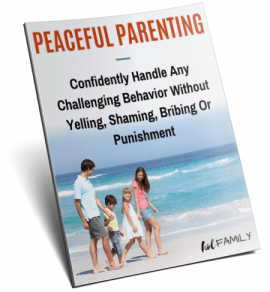 I have witnessed my children holding their poop and pee countless times when they are engaged in an activity they don’t want to stop. This could be playing with toys, watching a television show, or even during eating (their favorite activity). Children who struggle with constipation that results from holding poop will especially benefit from a set time to sit on the potty each day. The best time to do this is in the morning and right after breakfast. This is when the body is most primed to eliminate and eating is usually a signal to the body to increase movement through the intestines. 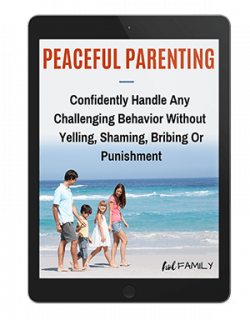 Instead of using this as a form of control over your child (who may be holding their stool as a form of control over their own body), allow this to be fun and easy for your child. Buy a timer and start with a set amount of time (try one minute per year of age). Let your child choose an activity to occupy them while they are on the potty. Books, small toys, or some screen time can all be useful for keeping them calm and motivated to sit on the potty. If your child doesn’t go during this time, don’t be discouraged or scold them. Just let them know that you will repeat this “toilet time” after dinner and again the next day. The more your child learns that sitting on the potty is part of their daily routine, the more they will relax and allow their body to view this is a normal process. Toilets are a modern day invention (and one that I am so thankful for). At the same time, our bodies were not meant to sit down to pass stool. Physiologically, the best position for our intestines to be in to eliminate is actually squatting. Next time you see a toddler in diapers squatting to poop, you’ll understand why! This is how the body wants to be to prevent kinking in the intestines. Luckily, another modern day invention that can put our body into this optimal position is called a “squatty potty.” Basically, it is a stool that wraps around the base of your toilet and allows you to rest your feet on it while using the toilet. This position is also beneficial for females to use while peeing. We have squatty potties in every bathroom in our home. They come in two different heights, but we prefer the taller one since our children’s legs are shorter. These stools have the added benefit of allowing our kids to be able to step up to sit on the toilet! The concept of the squatty potty may sound funny at first (I know it did to me), but once your family starts using it…you’ll never go back! (We’ve even been known to travel with ours). If you are a parent, I am sure you have witnessed the alarming speed that children can inhale their food. The healthy, home-cooked meal that you lovingly slaved over for the past hour is gone within minutes. In our home, we stress the importance of eating slowly to enjoy our food, allow the brain time to realize that it is full, and to take the time to properly chew food. Chewing food is very important for optimal digestion and elimination. Digestion begins in the mouth with the teeth breaking down foods and enzymes being added to breakdown carbohydrates. If food isn’t properly chewed, it sits in the stomach for a long time and also has a lengthened transit time through the intestines, leading to hardened stool. Improperly chewed food is harder for the body to absorb nutrients from and can increase bloating and discomfort in the abdomen. The best way to teach your children about properly chewing their food is by modeling this! Make it a game to see who can eat the slowest or who can chew their food for the most times before swallowing. Aim for 15-20 chews or until the food is a liquid consistency. If you are looking for a natural remedy for constipation in babies or kids that is absolutely free, look no further! Abdominal massage for constipation has been shown to relieve gas, bloating, and constipation in adults and children. (10, 11) The best part of all? It doesn’t cost a single penny! To perform an abdominal massage, it is best to first help your little person relax. Find a comfortable space where they can lie down flat, and preferably where it is nice and warm. Always ask permission to massage your little one’s abdomen (this teaches the importance of body safety to prevent sexual abuse). With warm hands, apply a hypoallergenic lotion or oil (I like coconut oil) to the abdomen. Using gentle pressure, massage the entire abdominal area in a clockwise direction. Depending on the size of your child’s stomach, you can either use your fingers or your palm. Continue to perform the massage for 10-20 minutes for the best results. I have also found that bringing the knees up to the abdomen and bicycling the legs is useful for getting things moving. If you’ve read my post on detox baths for kids, you’ll know soaking in a warm tub with Epsom salts can have amazing results for drawing toxins out and helping kids recover more quickly from colds and flus. What you may not know is that these baths are also a great natural solution for relieving constipation in children. Why? 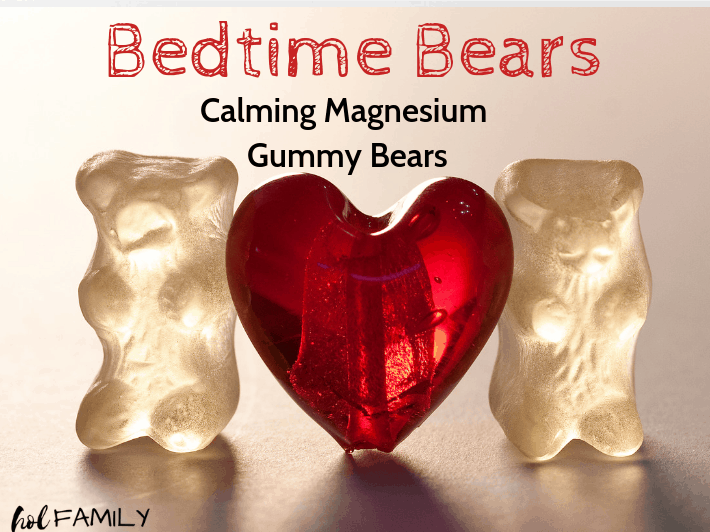 When kids soak in an Epsom salt bath, magnesium is absorbed into their little muscles, which also relaxes the gut. The extra magnesium draws water into the gut, which helps to soften bowel movements and relieve constipation. Did you know that roughly 30% of our poop is made up of bacteria? (12) There are trillions of bacteria living in the gut made up of thousands of strains (13). The popularity of probiotics in all age groups has grown exponentially over the last few years…and for good reason! Although yogurt is often touted as being a good source of probiotics, many commercial yogurts contain little to no live cultures. Good food sources of probiotics include fermented vegetables, unpasteurized sauerkraut, homemade yogurt or kefir, homemade non-dairy yogurt, cultured butter, or other fermented foods. If you are looking for a probiotic supplement for your little one, there are a few important things to consider. Although a lot of the research on probiotics for constipation and gut health focus on a single strand of bacteria, this is because it is easier to study a single strand. A healthy gut contains a wide variety of bacteria so look for a probiotic supplement that has multiple strands of live bacteria such as this one. Drinking a warm glass of water with lemon juice first thing in the morning has often been recommended as a way to flush out toxins from the liver, stimulate digestive juices, and increase energy. 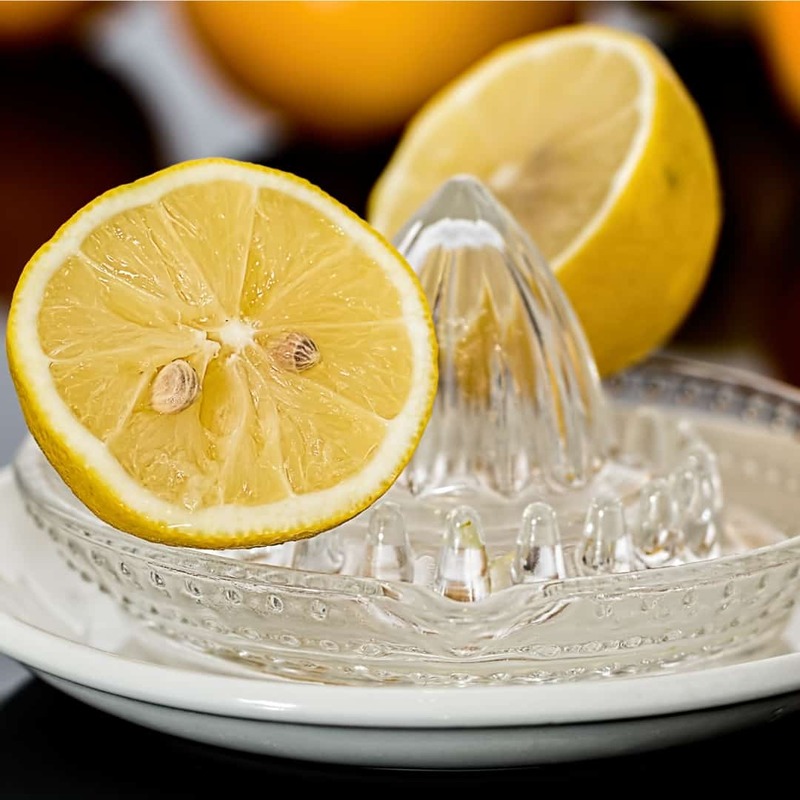 If your little one doesn’t mind the sour taste of lemons (all three of my children LOVE sour foods), try offering them a warm glass of water with half of a fresh squeezed lemon. The citric acid in the lemon juice can act like a stimulant to the bowels to get things moving and provide relief from constipation. We love essential oils in our home! We use them to help us relax, we diffuse them overnight for a more restful sleep, we use them in DIY recipes, for cleaning, and so much more! In fact, one the main reasons I started using essential oils was to help me find some relief from constipation and bloating associated with IBS. There are lots of essential oils that are known to be beneficial in supporting the digestive system. Some great kid-friendly choices include Roman Chamomile, lemon, rosemary, wild orange, ginger (this one is considered a “hot” oil so be sure to properly dilute), and my favorite…the KidSafe blend Tummy All Better. To find out which essential oils we use in our home (and the only ones I would ever recommend using with children), click here. Magnesium is a mineral that is extremely important for over 300 known enzymatic reactions in the human body, including many metabolic pathways. (17) Thanks to soil erosion and a highly processed diet, over 2/3 of the population are considered to be deficient in magnesium leading to a multitude of health problems. One of the many symptoms of magnesium deficiency is constipation (18). In fact, magnesium hydroxide is the main ingredient in the laxative Milk of Magnesia. Magnesium citrate is another form of magnesium that can act like an osmotic laxative, pulling water into the intestines and softening stool. 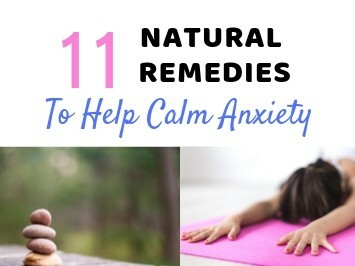 This is my favorite brand for use in kids and it also has the added benefit of being calming to the body and mind! Oh coconut oil…with the recent media hype surrounding this tropical oil, you either love or you hate it! In our house, we love it. We use coconut oil for cooking, baking, as a carrier oil to mix with essential oils, in DIY recipes, on our skin, and so much more! Including a high amount of healthy fats in your child’s diet can help to remedy constipation by lubricating the bowels and softening stools. Although there is no evidence in research to support this claim (there isn’t a lot of money to be made in researching coconut oil), it is an easy and cost-effective solution and one I think is worth trying! For a fun way to incorporate this oil in your child’s diet, check out my recipe for constipation candy below. Psyllium is plant-based fiber that has the added bonus of being gluten free. When you mix psyllium with water, it forms a gel-like substance that can help move the bowels down the digestive tract. When we took our oldest son off of Miralax, we used psyllium to help keep his bowels moving daily. You can mix psyllium with water, add it to foods like applesauce, or even use it in baking to increase the fiber content. Coconut water is the clear fluid found in the middle of a coconut. It has been used for centuries as a way to naturally boost hydration thanks too its high electrolyte content. Coconut water can make a great remedy for dehydration or as an alternative to sugar-laden sports drinks. Coconut water can have a laxative effect, making it useful for relieving constipation. Caution: A little goes a long way! Coconut water has been known to cause diarrhea when consumed in large quantities. Try adding some to a smoothie! Start with a half of a cup and increase as needed! Homeopathy is a gentle, and natural system of healing that works with the body to relieve symptoms and restore health. For constipation, the homeopathic remedies of choice would be based on the symptoms associated with constipation or the organs of the body that require additional support. For constipation, choices would include Alumina, Byronia, Graphites, Natrum muriaticum, Nux vomita, Silica, Sulphur, or a pediatric formulation such as this one. Reflexology and acupressure involve applying pressure to certain parts of the body (acupressure) and feet (mainly reflexology) based on the belief that special acupoints live along meridians or channels in the body. These energy points are also targeted in traditional acupuncture. It is believed that the 12 main meridians connect to certain organs within the body, and one of the these meridians is blocked, illness can occur. By applying pressure or light massage to one of these areas, you can relieve symptoms such as constipation. Research into reflexology for constipation in children is starting to pop up with some promising results. (19) For an explanation on how to perform a pediatric tuina massage for constipation, check out this post. Exercise is a great way to keep active and stay healthy, but it may also be good for managing constipation in young children (20). We have often found the best way to stimulate our children’s sluggish bowels to move is to get them moving! Get outside and go for a bike ride together as a family, play chase or hide and seek (your kids will love you if you do this), or encourage your little people to jump on a trampoline! Keep in mind that if physical activity is a great natural remedy for constipation, the opposite is also true! If your kids are prone to sitting around for long periods of time, watching television, playing video games, or just being couch potatoes, find a way to motivate them to move their little bodies! Kids can become constipation for a variety of reasons, including the ones I talked about earlier in this post. However, not all constipation is from physical causes. Research has now shown that some instances of constipation in children are a result of stress (21). If we consider that there are more neurotransmitters in the gut than the brain, this makes a lot of sense! So how do we solve constipation in kids that is caused by stress? Teach them to relax! Some of the best forms of relaxation in children are yoga, meditation, prayer, journaling, guided relaxation, or therapy with a licensed Pediatric Therapist or Psychologist. 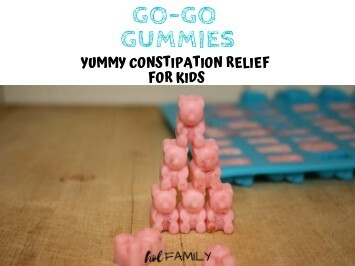 If you are looking for a fun and easy way to incorporate some of the remedies listed above, why not try making these kid-friendly Go-Go Gummies for Constipation Relief in Kids? 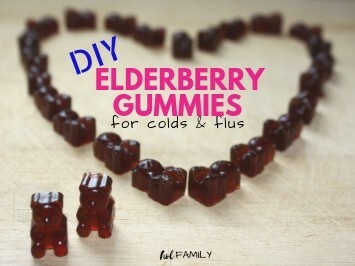 With all natural ingredients like coconut oil, lemon juice, honey, sea salt, and fresh berries, these gummies get the job done! This is another recipe that incorporates some of the remedies listed above including psyllium, chia seeds, fresh berries, applesauce, and gelatin. 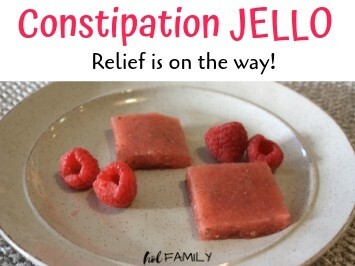 This constipation jello recipe never lasts long in our home and ALWAYS provides results! Managing constipation in children doesn’t have to be a frustrating experience or a battle that ends up with everyone in tears (I’ve been there, believe me). With a little patience, a lot of love and understanding, and the help of these 20 kid-friendly natural remedies…your child can experience long-lasting relief from constipation! Which of these remedies have you found work best for your little person? Leave us a comment below and let us know! Odd as it is, I’ve always been very comfortable talking about poop LOL! I find it is a sign of how our bodies are functioning, good or bad, and it helps us understand our bodies more. I definitely needed to read this, more for myself than anything! Love your Band Aid analogy!